Calgary Therapist: Joanna Jewell - Therapist T2R 1E8. Send A Message To Joanna. Joanna is a Registered Psychologist with the College of Alberta Psychologists (CAP). 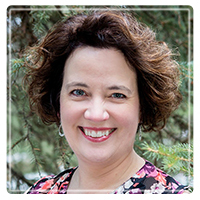 She holds a Bachelor of Science degree in Psychology from the University of Calgary and a Master of Arts degree in Counselling from Covenant Theological Seminary in St. Louis, MO. She trained in the areas of mental health and psychology as well as spiritual concerns. Working with individuals, couples and groups, she works from an interpersonal approach to therapy that creates an environment of unconditional acceptance. Joanna incorporates the use of many therapies, emphasizing Cognitive Behavioral Therapy and Family Systems techniques to build compassion and increase her client’s understanding of themselves and others. From this you, her client, can heal from possible early relational wounds and know the freedom to more confidently move forward within life and relationships. She works carefully with you to establish the outcomes you desire and sensitively journeys with you to see that they are achieved. With 3 years spent working with at-risk young women for behavioral, educational and relational difficulties, Joanna improved the lives of youth and families through incorporating an empathetic, personalized approach to Cognitive Behavior Therapy (CBT) and Rational Emotive Behavior Therapy (REBT). Through the use of behavior management techniques and experiential learning approaches, her clients experienced great change and gained confidence with their identities as beautiful, amazing young women. Joanna provides a caring, supportive space to take risks and make change. Joanna is no stranger to the twists and turns that life leads in pursuit of a career; Joanna is also an experienced Junior and Senior High school teacher. Teaching for 3 years in Southern California, she simultaneously explored her passion for counselling techniques and practices by taking courses in nouthetic counselling (a Christian counselling approach) as well as delving into a variety of perspectives within faith-based approaches and treatments. She brings the fruits of her training, extensive study and reflection to her work with clients struggling for meaning and self-identity, helping them examine their beliefs about life as it impacts their issues and freeing them up to know greater flourishing in life and living. Working in marketing and development at a local non-profit school upon returning to Calgary, she navigated complex relationships between students, teachers, school and outside business communities. She brings this sensitivity to her work with clients, introducing new perspectives that clients find expands their thinking. She is a passionate resource for learning, counselling and immigrant / multicultural issues, and blends this passion with her compassionate, non-judgmental and engaging listening ear to help clients feel understood, safe and comfortable. She is experienced treating adults, adolescents and children, and enjoys incorporating art activities, body focus and experiential learning assignments into her work. This helps clients access and develop less integrated areas of self: body, soul, and mind. Her current interests include attachment theory and its role in development; cross-cultural worldviews and multi-cultural issues in counselling; narrative approaches; and the integration of Christianity and psychology in practice, both for counsellors and clients. She educates and increases awareness of healthful living and participates in advisory panels and adult education, including supervision of students and provisional clinicians. A native Calgarian, Joanna enjoys both indoor and outdoor activities, the beauty of the mountains and the cuisines and cultural life of the city. She enjoys squash, plays on a fun league (didn't win a game the first year) and keeps playing anyways. She currently provides services to clients in the greater Calgary area and outlying areas of Okotoks, Chestermere, Airdrie and Cochrane.